I mentioned a few weeks ago that I wanted to start a “Sheet a day” project – in which I shoot a sheet of 4×5 film every day in my Zero 45 as a way to get to know the camera. I started the project and have a couple weeks worth of photos. 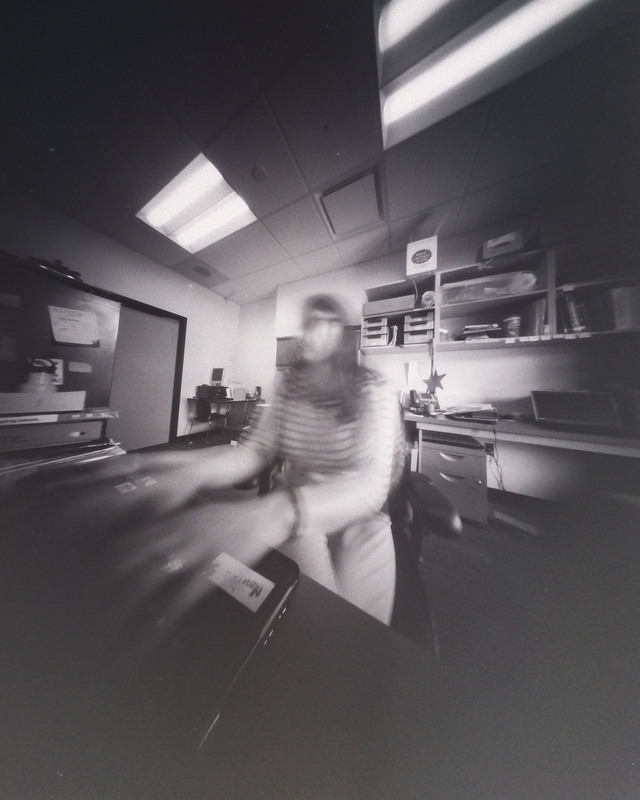 Here is my most recent one: a 20 minute exposure of a self portrait while I am typing on my laptop at work. I have already learned so much about all sorts of things so far! I am really glad I am doing this. The photos are quite mundane and not the most exciting in the world, but it’s fun to not really care about being “exciting” and to just experiment and try things out. I am doing this project for me. I was a bit reluctant to share these with people but decided, for the sake of being organized, to post them in a Flickr album. I have to admit that it has been interesting to see the feedback on them (not really expecting any to begin with). If you are interested following the project let me know! We will need to connect on Flickr because I am limiting visibility to Flickr friends.